Some rim trails get enough snow to cross-country ski on the edge of a scenic wonder, but you’ll also find alpine skiing and nordic trails nearby. Scrunch your way over the snow – when there’s enough snow to scrunch. Find the best places to see the Grand Canyon with a touch of winter frosting. 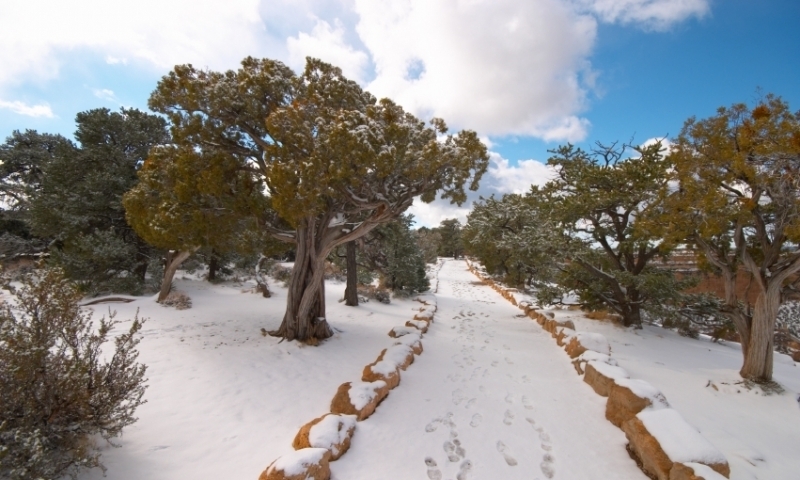 Search for the snow line in some of the gateway communities that surround the Grand Canyon and you will find great opportunities for winter recreation. Although Grand Canyon National Park, AZ may not receive a ton of snowfall in the winter months, when it does it turns into a magical place. 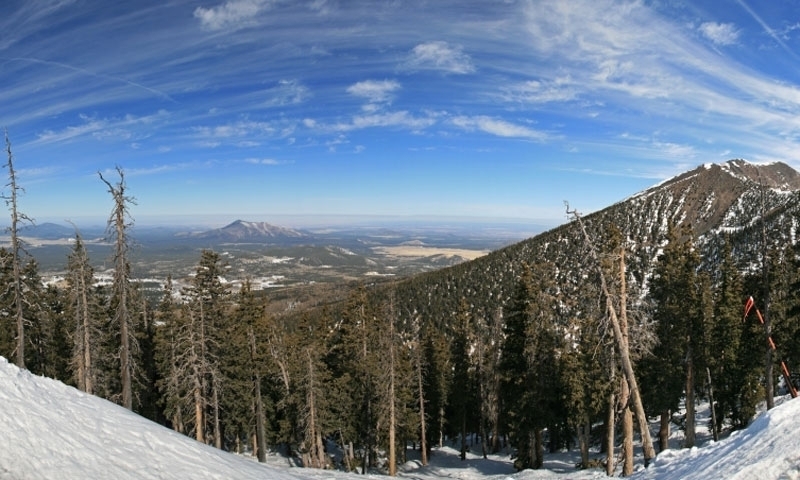 But surrounding the Grand Canyon along the higher plateaus of Northern Arizona abundant snowfall paves the way for numerous winter activities, complimenting the perfect vacation to the southwest. Recreation opportunities include skiing, cross-country skiing, snowshoeing and snowmobiling.